Founded by Colin Sanders in 1969, Solid State Logic develops, designs and manufactures consoles, I/O, and processing technologies for creative audio production in music, broadcast, and live sound. The company has gained a legendary status and unparalleled reputation for innovation, excellence, and outstanding support, and its products are held up as benchmarks of professional audio technology. SSL consoles and production tools are found in the most prestigious studios and venues around the world and have been used for countless hit recordings, award-winning TV productions, and some of the biggest tours of recent times. Producers, engineers, sound supervisors, and musicians at the highest levels choose SSL technology to guarantee the quality of the finished product. SSL is also characterised both by its substantial Research and Development resource and a global commitment to customer support and service. Such assurance is extended from its Oxford, England headquarters and via its regional offices in Los Angeles, New York, Nashville, Milan, Paris, and Tokyo, with additional support provided by an international network of highly qualified distributors. The SSL approach to design is simple. Nothing is spared in developing and manufacturing the very best precision audio tools available anywhere. Its SuperAnalogue technology is the practical, no compromise application of a unique legacy. In the digital world, SSL has over three decades of innovation behind it, culminating in the new Tempest platform. This enables a new freedom, to innovate and evolve superior algorithms, architectures, and products with the same commitment to distinction as in all aspects of SSL’s business, into the future. In music, nothing comes close to the SSL mark of excellence, and no production tool has ever rivalled – or is likely to ever rival – the influence and impact of SSL consoles over the last four decades of recorded music. 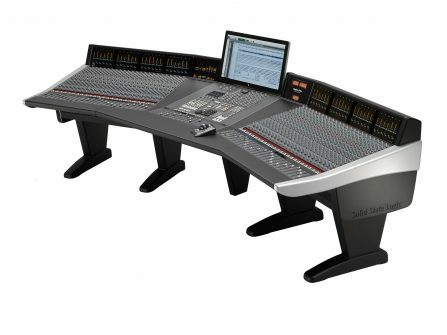 The company has pioneered the professional analogue hybrid console, fitting supreme audio quality and analogue knowhow alongside everything required for modern and future studio production, such as integrated DAW control, fast recall, and DAW-based console automation. 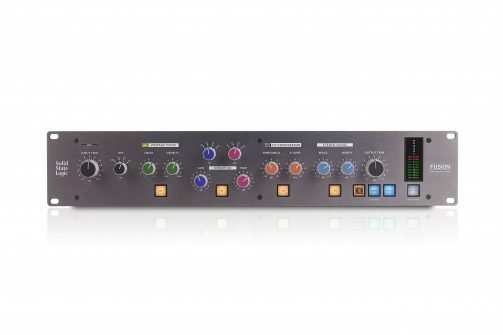 SSL matches mastery of the basics, with the art of innovation, developing features such as the Duality VHD (variable harmonic Drive) SuperAnalogue pre-amps, the AWS 948 dual path channel for stereo stem workflow, Dante AoIP interfacing for the Nucleus2 Studio Controller, and the flexible 18-slot 500 format rack of the XL-Desk. Broadcasters have similarly embraced the company’s innovative digital technology and network-native solutions for flexible, streamlined workflow and high-quality output. The biggest operators, including several global new media companies, use SSL technology to get sound to air, or online. The most recent broadcast technology innovations have been centred on System T, a fully networked ecosystem with IP-based control and audio infrastructures made up of a Dante AoIP Routing & I/O system, the powerful Tempest Audio Engines, and a range of networked control options – everything from large-format, modular, multi-operator consoles to touchscreen and hardware remote panels, to an online PC-based control application. In live sound, SSL combines exceptional audio, with market-leading flexible architecture, I/O, and infrastructure. Tours, theatres, venues, and houses of worship around the world rely on SSL to deliver incredible sound, night after night, in the most demanding environments. The whole live range – L500 Plus, L300, L200 and L100 – offer the same immaculate SSL sound, the same features, the same superb operator experience and can share the same Remote I/O. They vary in physical size and layout, processing power, and cost but there are no performance compromises. SSL understands that professional music and audio production tools have to be creative, precise, flexible, and efficient in order to make the grade. This is why SSL is such a respected force in music studios, broadcast facilities, and live venues worldwide – and will always be so. 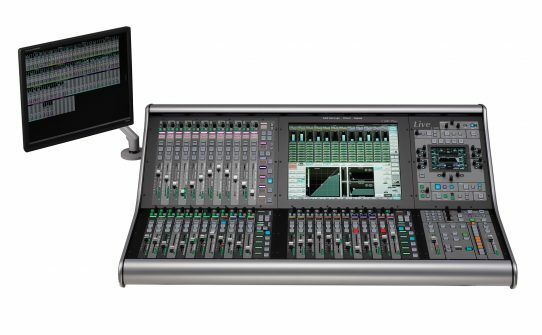 SSL makes the news for Waterman Broadcasting with two System T S300 production consoles. SSL live, locked and loaded for The War on Drugs world tour, following the release of the band's Grammy-winning fourth studio album A Deeper Understanding.